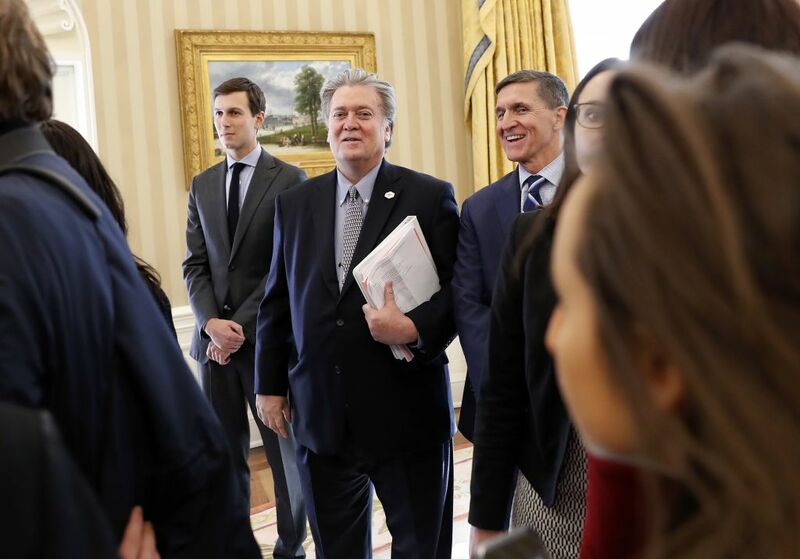 WASHINGTON (AP) — A long-simmering dispute between two top White House aides has boiled into a public battle over the direction of US President Donald Trump’s foreign policy, with a cadre of conservative groups pushing for the ouster of national security adviser H.R. McMaster. In recent days, conservative groups and a website tied to Trump adviser Steve Bannon have targeted McMaster as insufficiently supportive of Israel and insufficiently tough toward Iran. They’ve expressed outrage about the firings of several aides regarded as sympathetic to their views. An online campaign — under the hashtag #FireMcMaster — prompted Trump to declare his support for his adviser. In a volley of attacks from right-wing media, McMaster has been accused of being anti-Israel, having a short temper and collaborating with Obama-era officials. US National Security Adviser H.R. 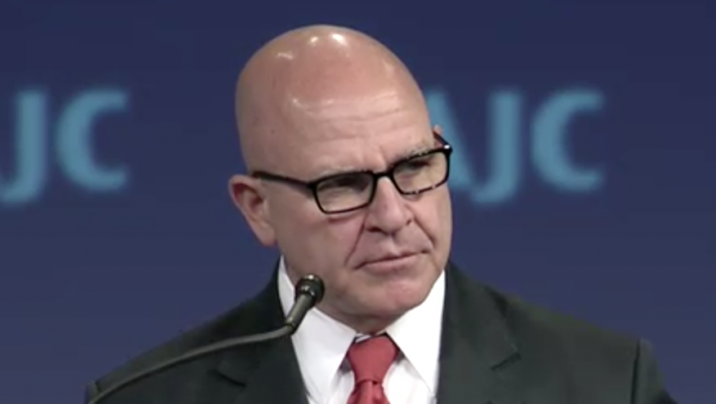 McMaster addresses the American Jewish Committee’s 2017 Global Forum at the Washington Hilton in Washington, D.C. on June 4, 2017 (screen capture). 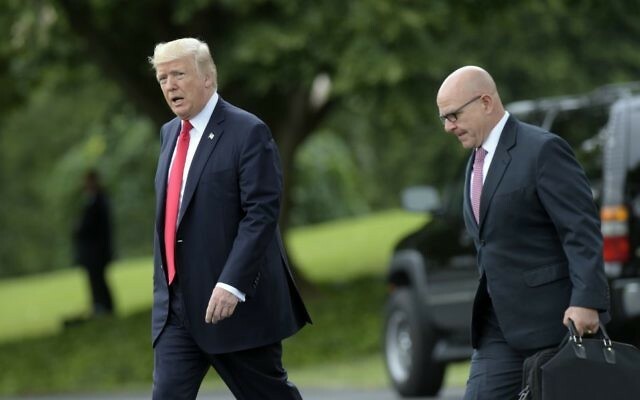 McMaster, an Army general, recently purged three National Security Council officials who were viewed as close to Bannon or to Michael Flynn, Trump’s ousted national security adviser who was replaced by McMaster. For people close to Bannon, the moves were seen as telling. The former chief of Breitbart News, who wants Trump to upend the Washington foreign policy establishment, has bitterly argued against further US entanglement in global conflicts and believes McMaster is adhering to holdover Obama administration policies. Months earlier, Trump also defended his adviser, taking a printout of a story suggesting he might fire McMaster and scrawling on it with a Sharpie pen, “This is bull—-. You’re doing a great job,” along with his signature. He had it delivered to McMaster, according to someone who speaks regularly with officials in the Trump administration. 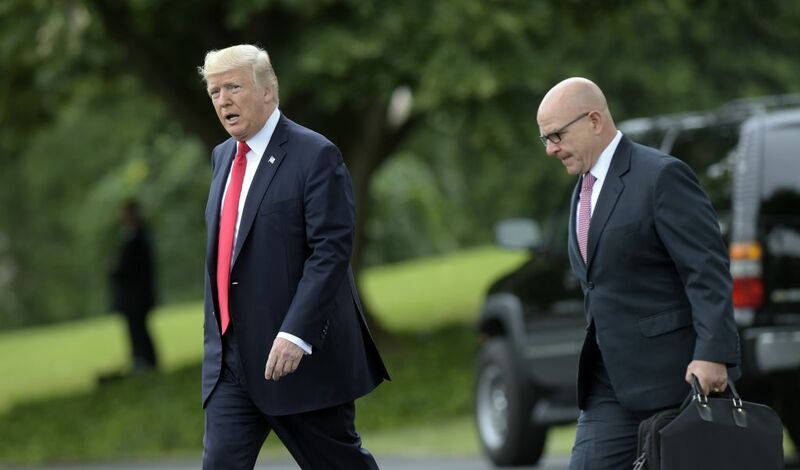 But privately, Trump has at times expressed some dissatisfaction with McMaster and rued losing Flynn, according to people who have spoken with the president. The White House has said Flynn was dismissed because he did not tell White House officials, including Vice President Mike Pence, about the full extent of his contacts with Russian officials. Trump often vents about aides without making changes. And McMaster’s position was strengthened by the recent appointment of retired General John Kelly as Trump’s chief of staff. 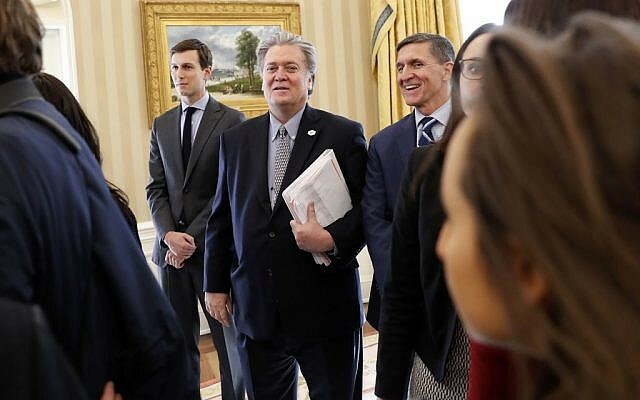 Bannon’s allies say the recent dismissals are evidence that McMaster is ridding the National Security Council of Trump supporters while deferring to career officials left over from former President Barack Obama’s tenure. They also chafe at McMaster’s involvement in removing Bannon from a prominent role on the NSC earlier this year. Among those fired: White House intelligence adviser Ezra Cohen-Watnick, a Flynn protégé who previously clashed with CIA leaders. The Iran nuclear deal also has been a source of disagreement. That Obama-era pact is opposed by Israel and prominent GOP donor Sheldon Adelson, who backs the Zionist Organization of America group that attacked McMaster. Trump has repeatedly denounced the accord, even as he has granted Iran continued relief from US sanctions under the arrangement. 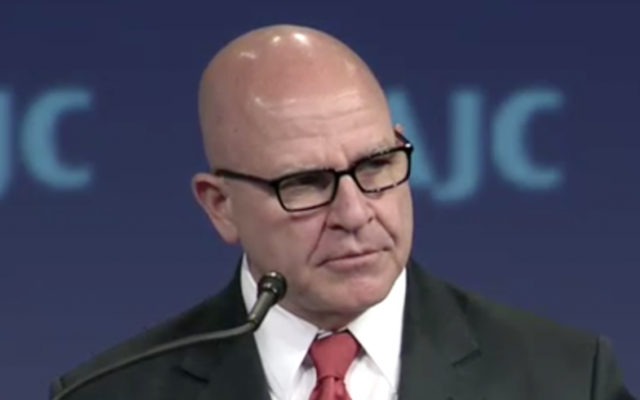 McMaster was among the Trump aides advocating for that course.